The support of new and growing businesses, especially those that feature young entrepreneurs, is incredibly near and dear to our hearts at 81 Entertainment. 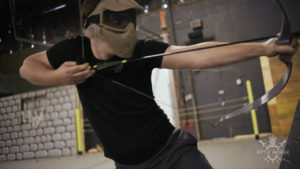 What better way than to join forces with our friends at the GTA-based Battle Archery? Located just north of Pearson International Airport, Battle Archery is the most exciting archery dodgeball offerings in the city. Not sure what it is? 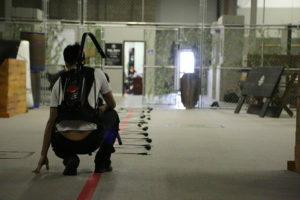 Take dodgeball, paintball, add a dose of Hunger Games, what do you get? Battle Archery. 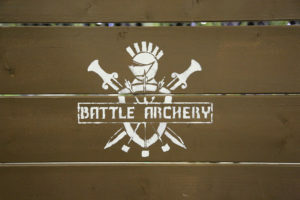 81 Entertainment teamed up with Battle Archery to product a short, 30-45 second, social media hype-video that highlights the game offered for a mere $15 per person. Because of the nature of the game and the request for a more raw cinematic visual style, our creative team approached the shoot as if it was a live-event. This enabled us to document while live-games ran in their entirety, paving the way for the capture of the most authentic moments of competition. Our micro crew was lead by Director/DOP, Jack Yan Chen, 1st AC, Alastair Sinclair and1st AD/PM, Alexis Bernstein. Our shooting equipment included the likes of the Sony A7SII, Atamos Shogun with an EasyRig for extra stability and Jack’s personal vintage cinema lenses.